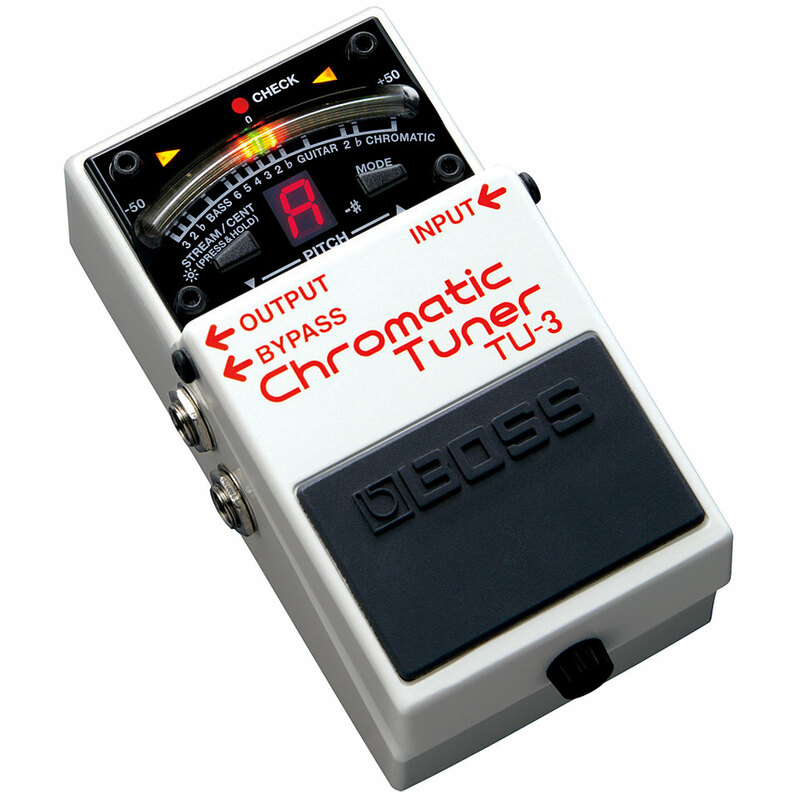 The Boss TU-3 tuner is the further development of the tried and tested TU-2 Pedal tuner. Compared to the predecessor, the display has been altered - with 21 LEDs, the display is even more accurate and easily readable. The high-brightness mode is available for daylight operation, an extra-bright display that can also be seen in direct sunlight. 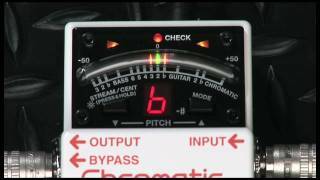 Like the predecessor, the TU-3 is chromatic and offers a range from C 0 to C 8. An indestructible tuner in the popular BOSS floor pedal format the TU-2 was the best-selling BOSS pedal every month worldwide! 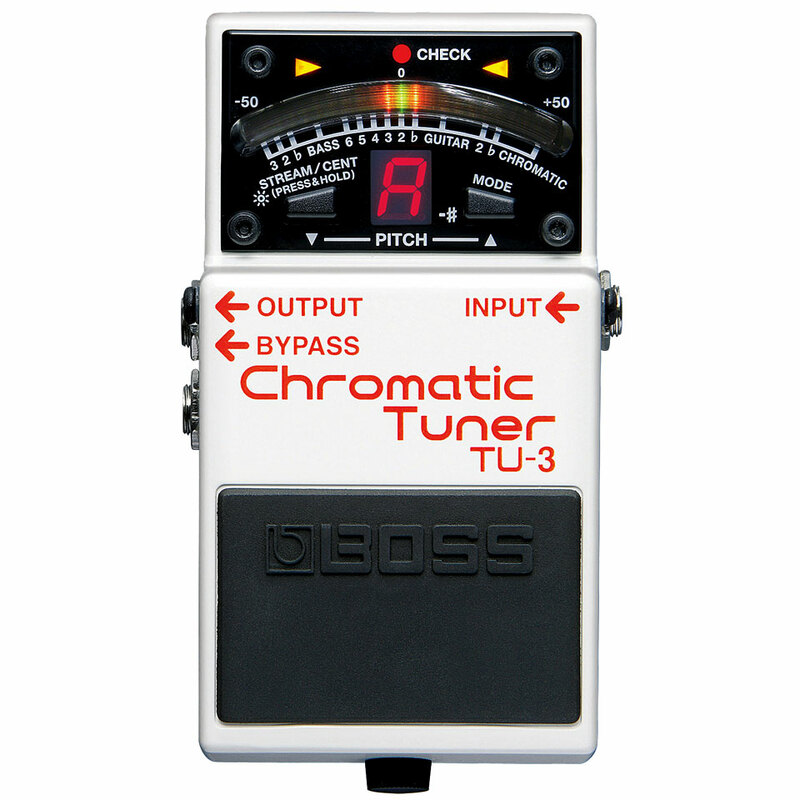 Many manufacturers have built a similar tuner since then - but now BOSS presents the TU-3 and sets the benchmark a good bit higher - with great new features, reduced price and consistent, indestructible quality! The Boss compact pedal series can be described justifiably as the most successful pedal design of all time. In 1977 the first compact pedal came onto the market and caused a sensation - power supply connection, noiseless MOSFET footswitch, check LED and a uniform, ultra stable housing - all these features have set bench marks for the effect device design. The compact pedal series is more relevant than ever and offers a wide range of equipment effects. This item was given an average rating of 4.8 out of 5 stars. No review about this product has been written yet. 34 ratings exist without a text or these reviews are written in another language. · Show all articles of the brand Boss.